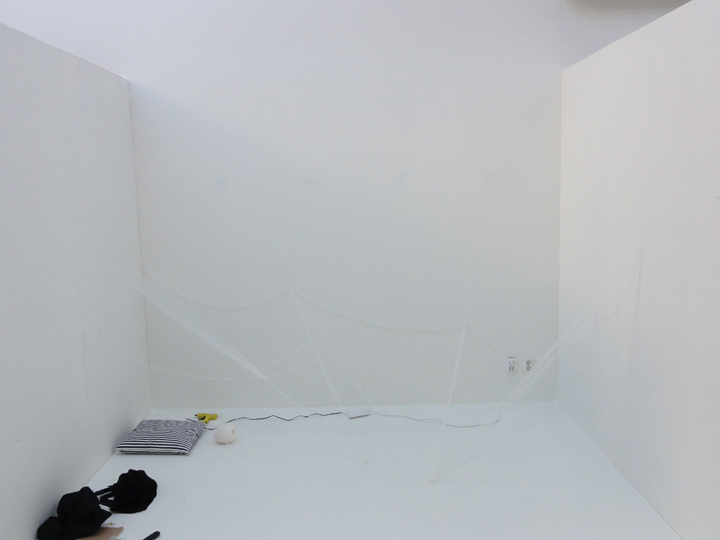 This is an installation/performance I’ve done for group exhibition TAKE UP SPACE. 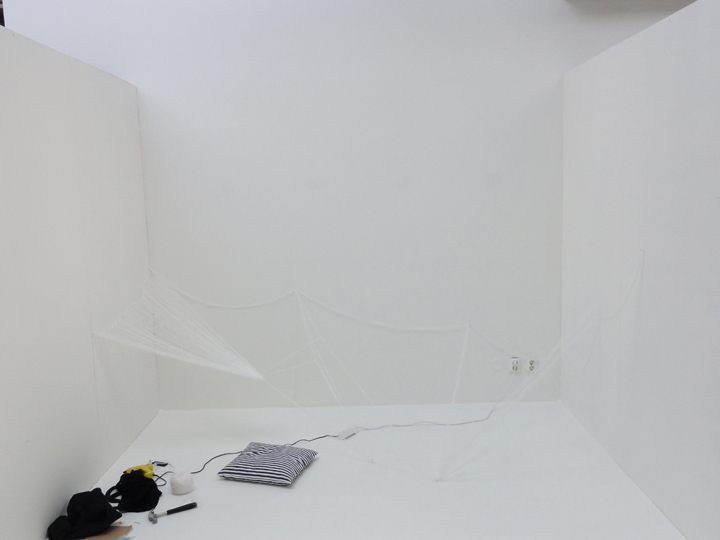 I studied the basic steps for how spiders build their webs. 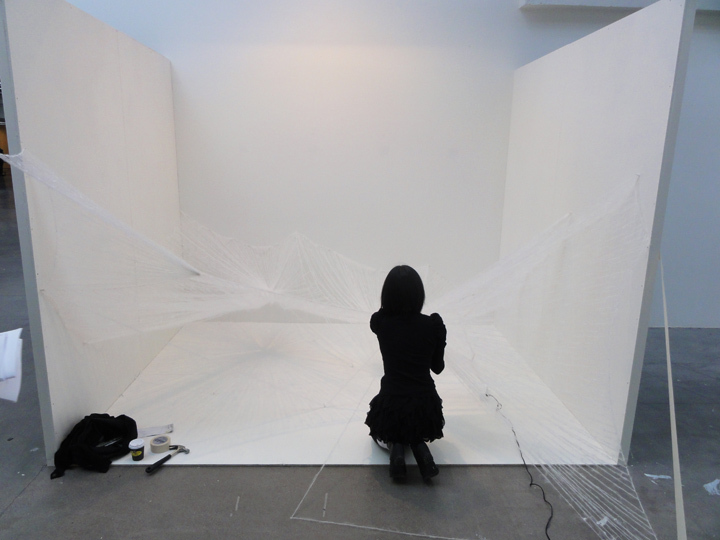 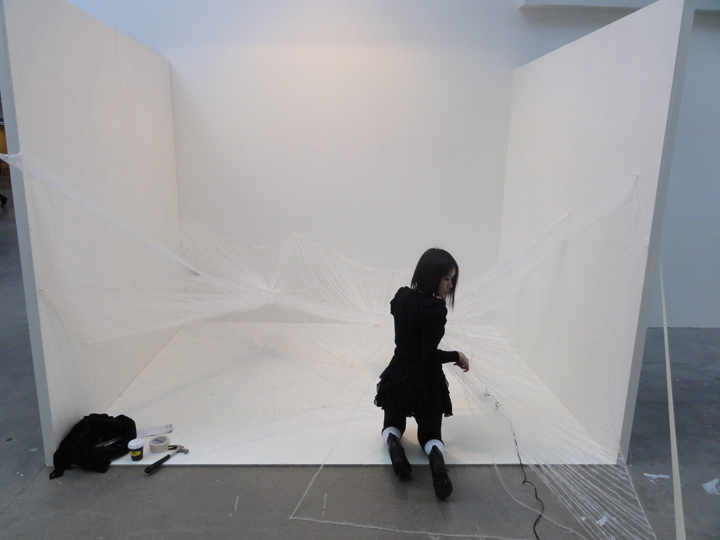 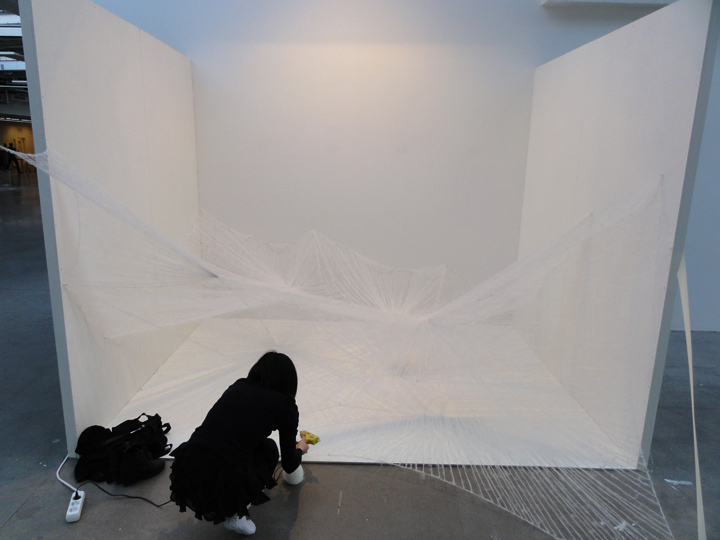 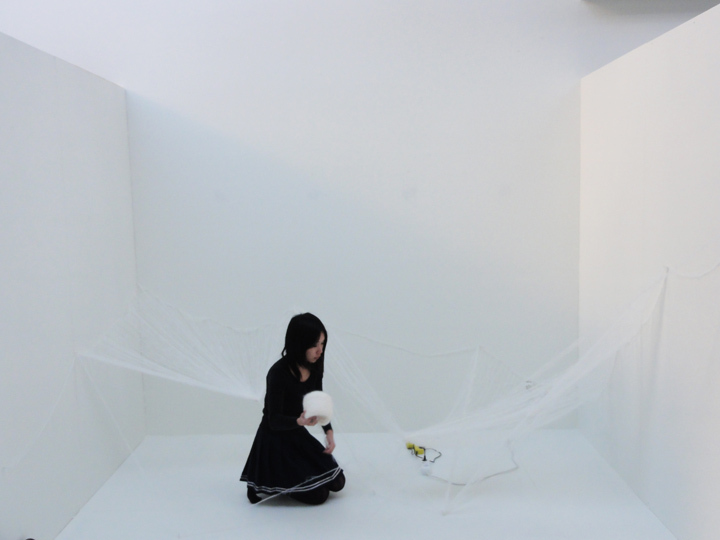 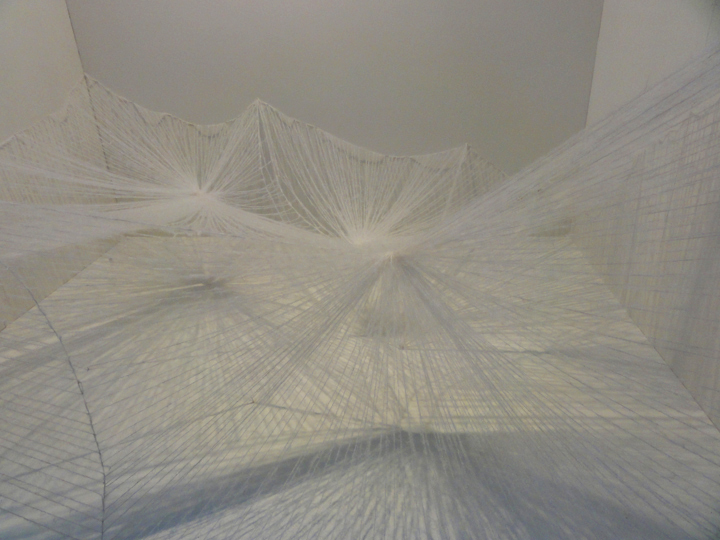 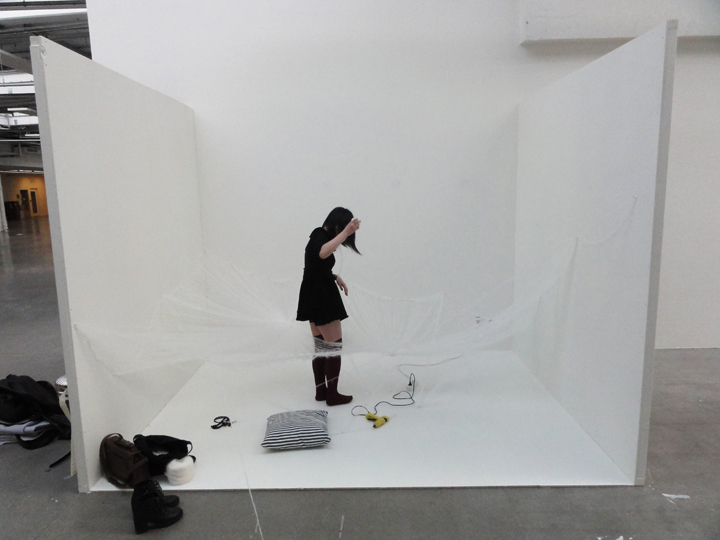 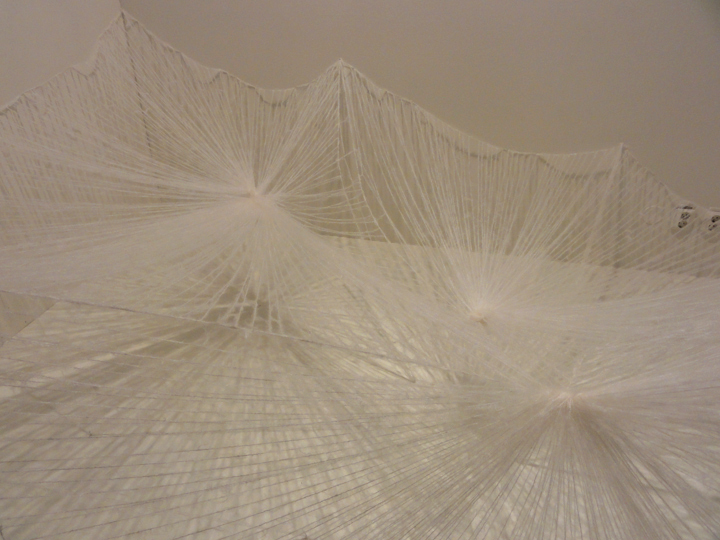 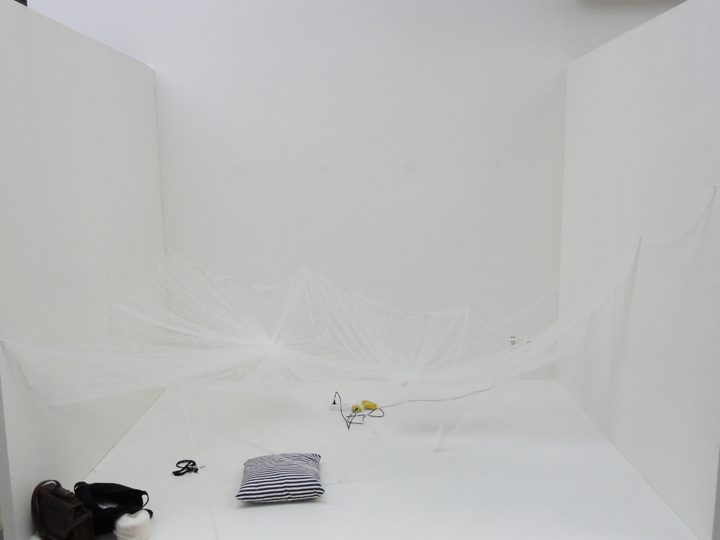 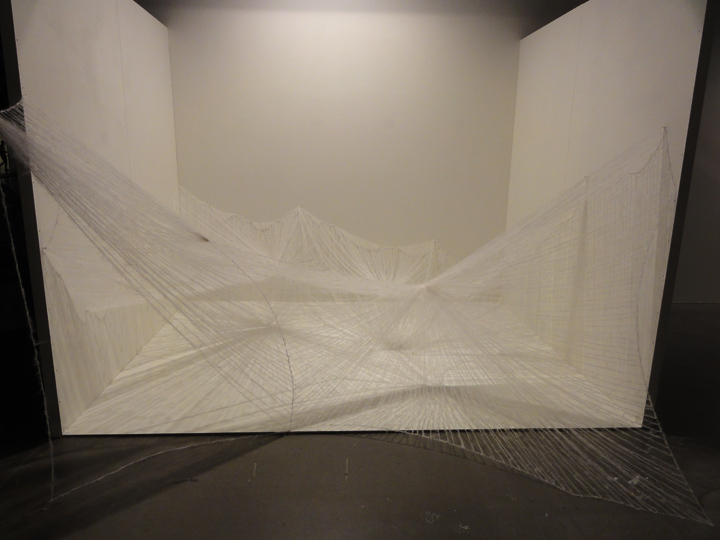 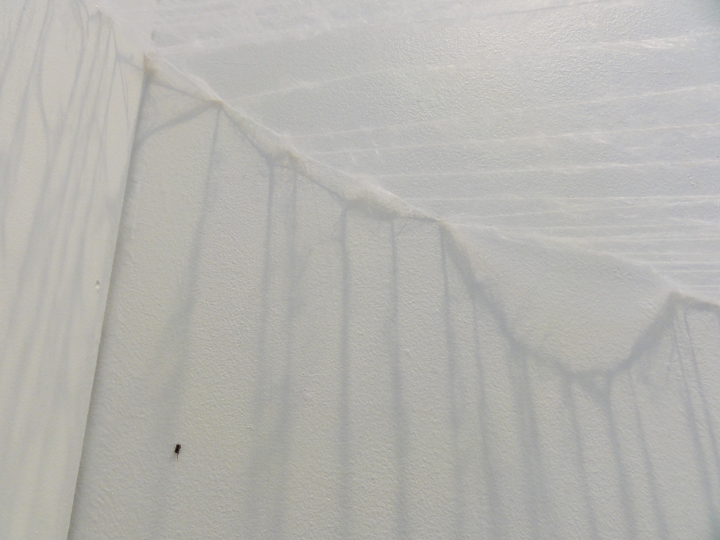 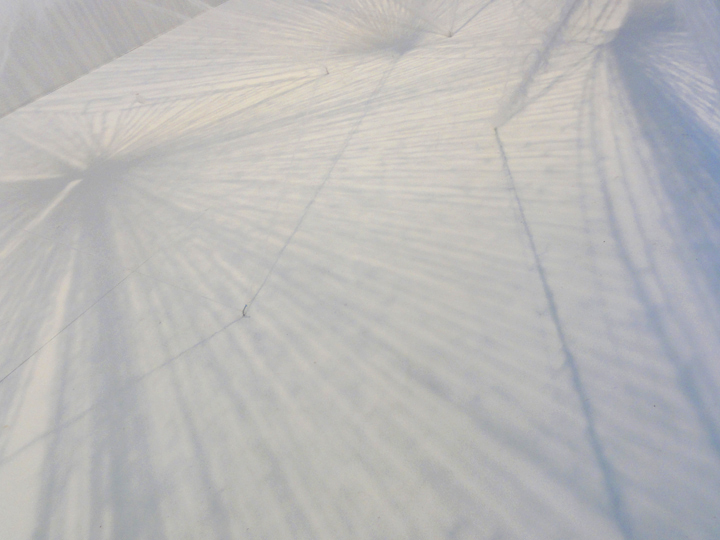 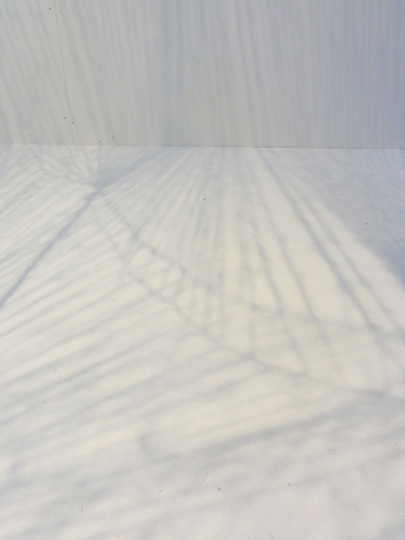 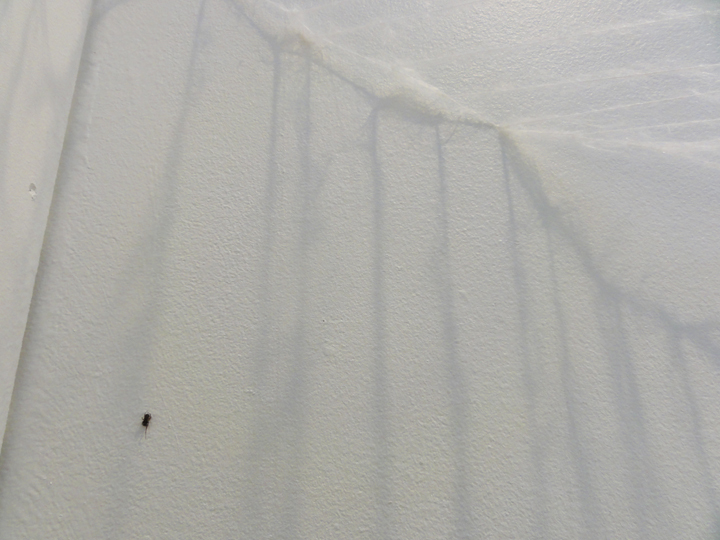 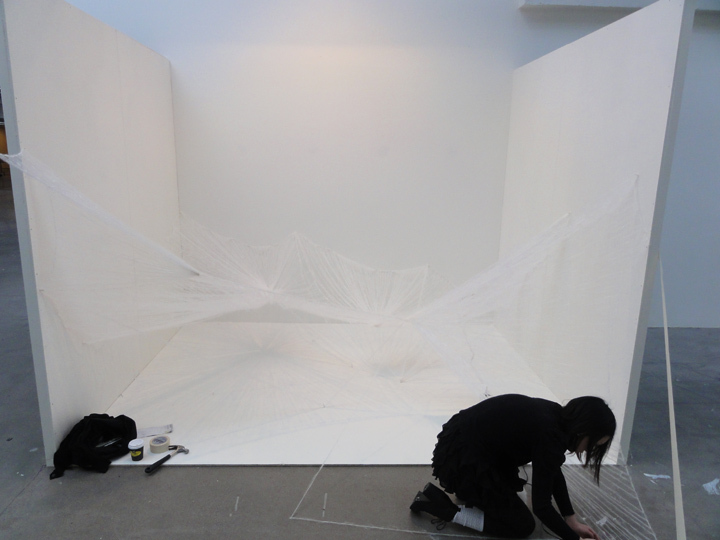 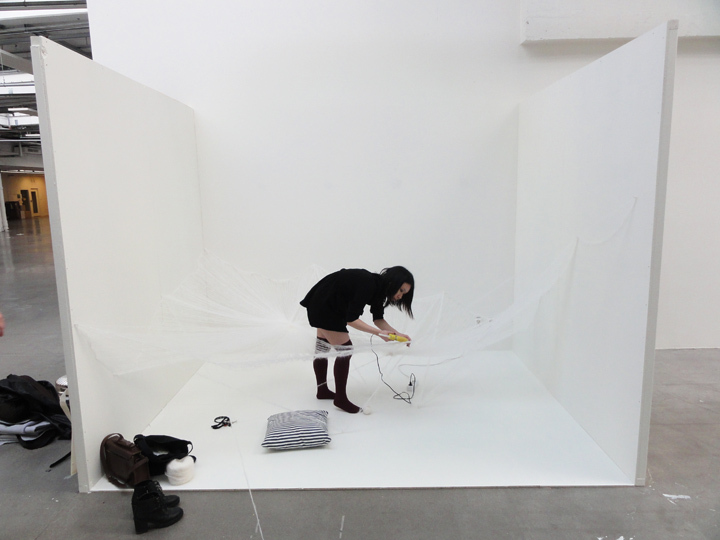 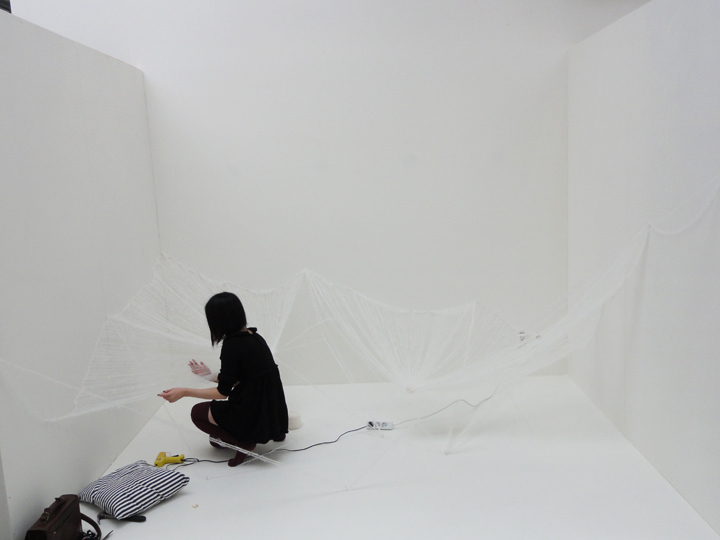 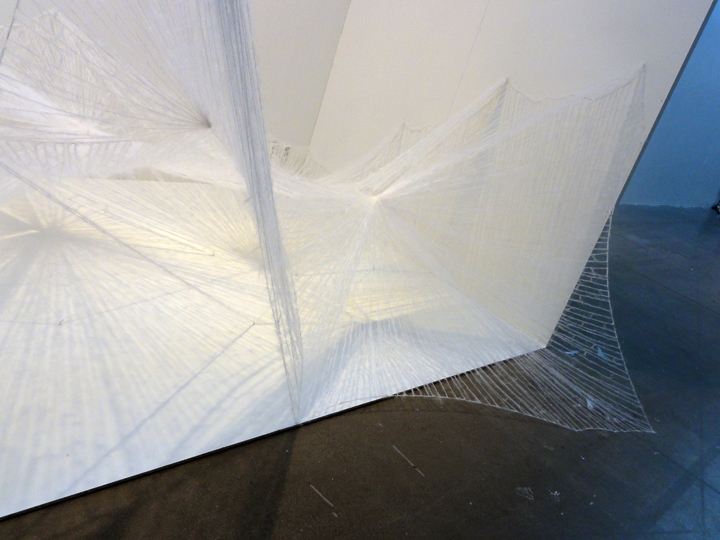 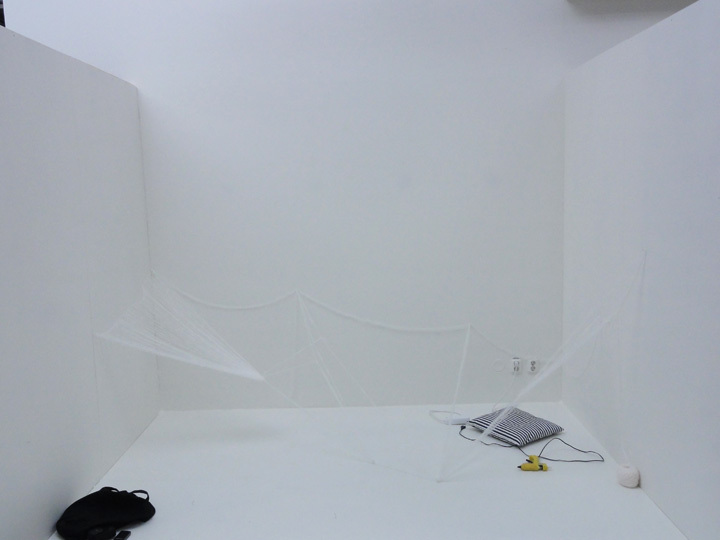 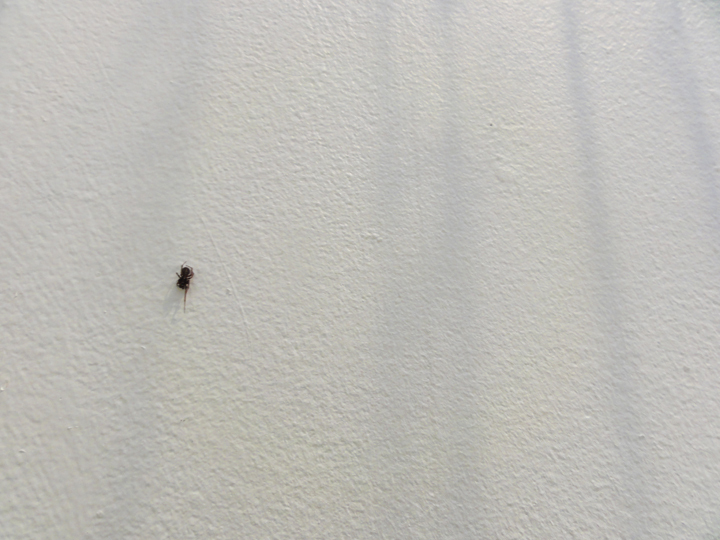 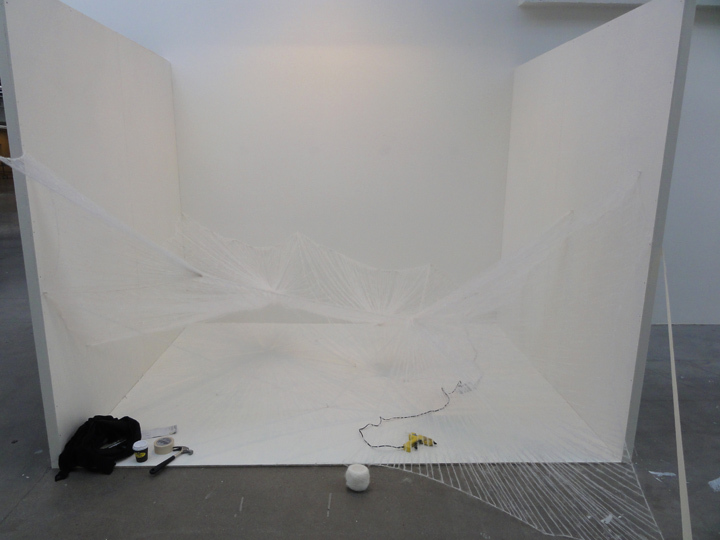 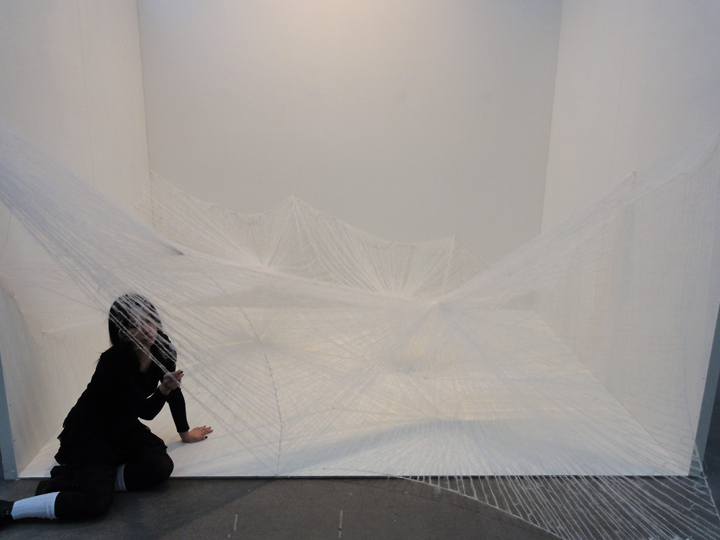 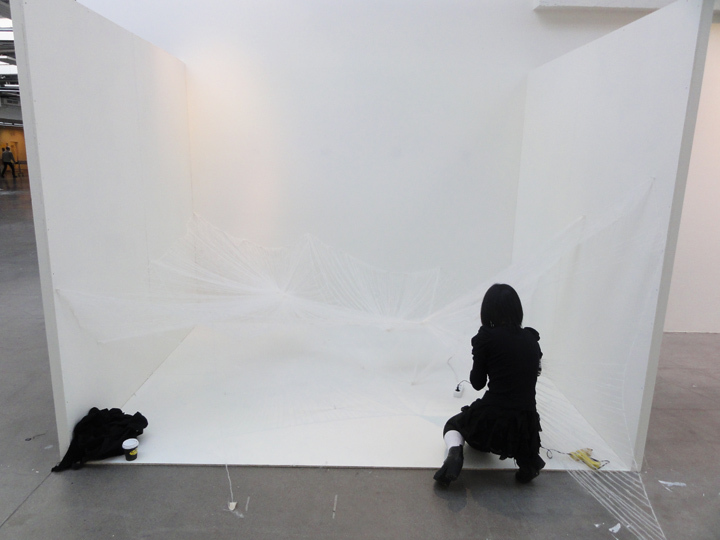 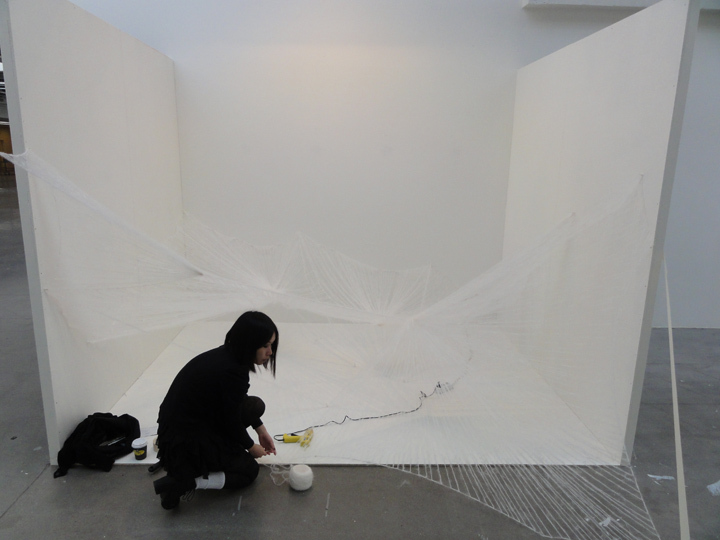 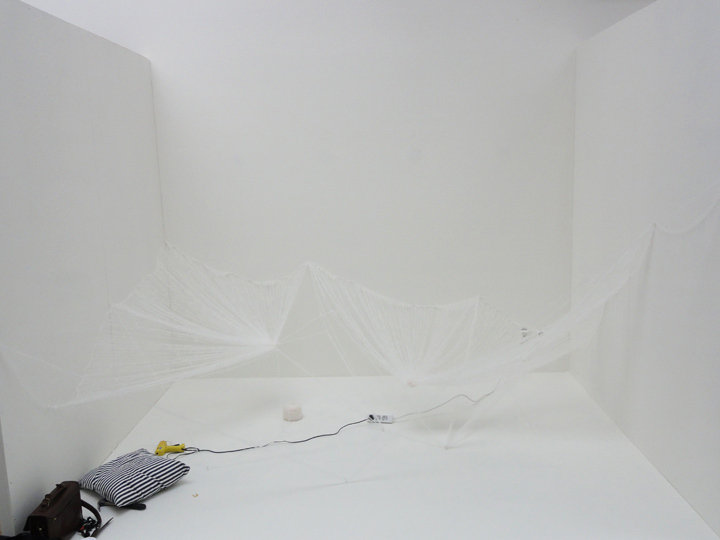 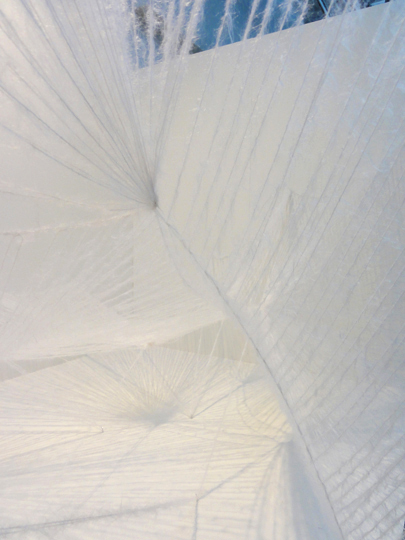 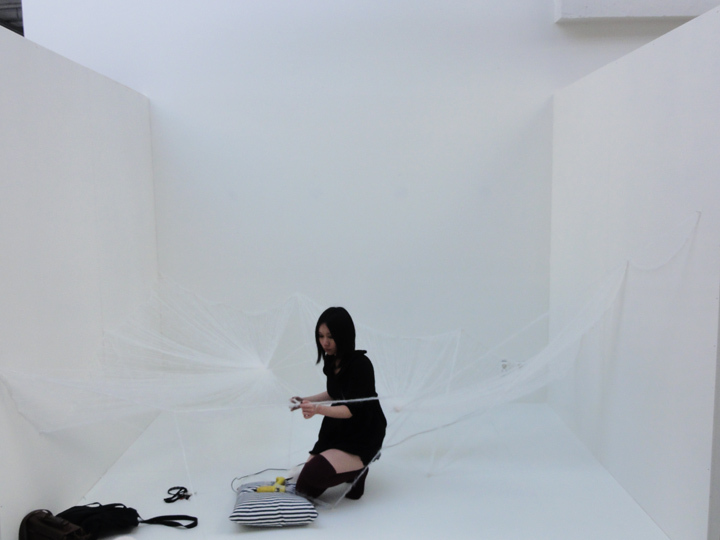 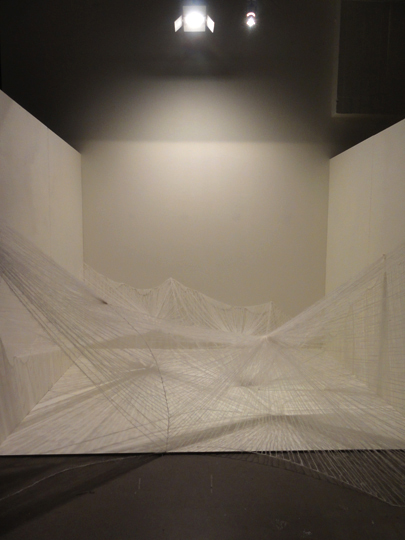 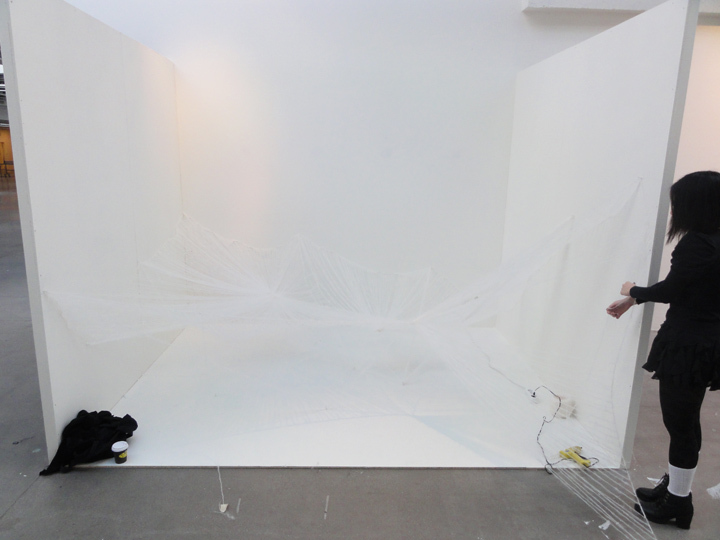 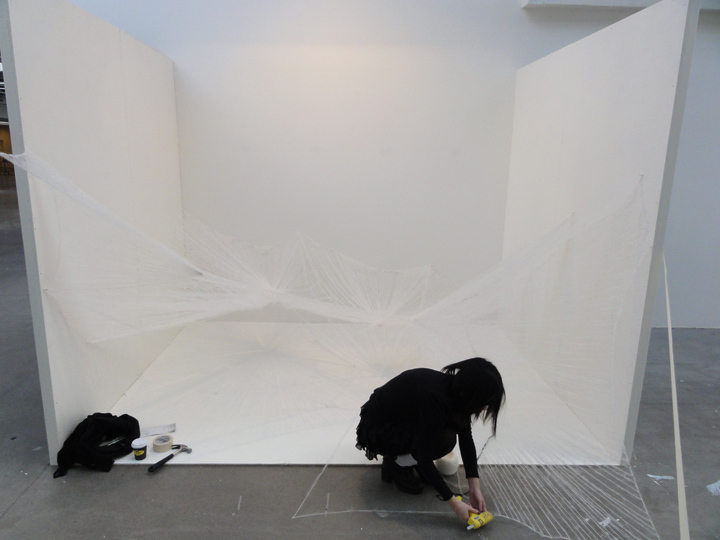 Then I spent a week’s time spinning a giant web in 3-meter cube in the middle of Konstfack. 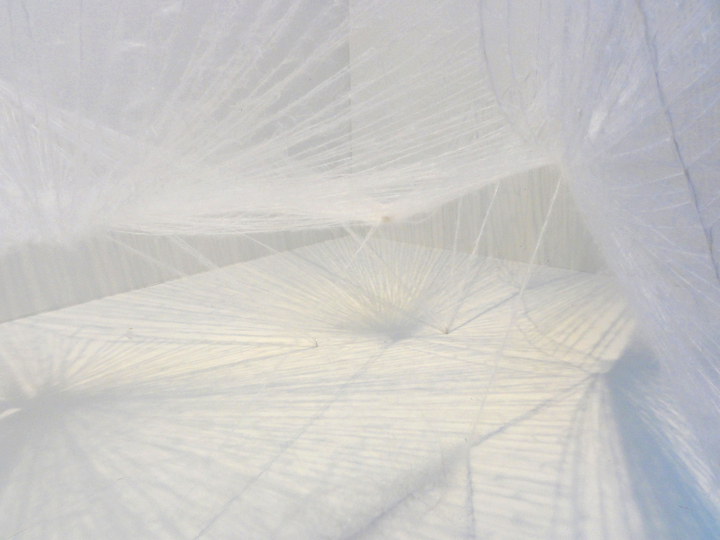 Because it’s not a web I wanted to present, it’s the experience and the process that counts. 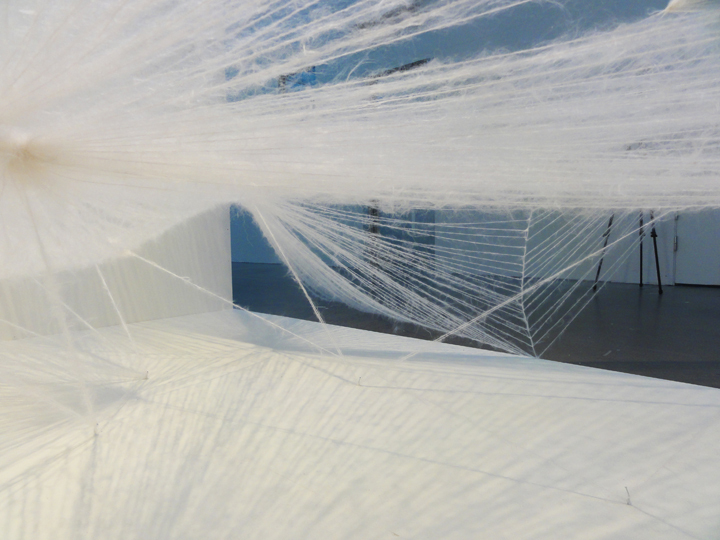 Spinning a web in the corner of a room, through magnified many times, still provides a realistic experience of being a spider. 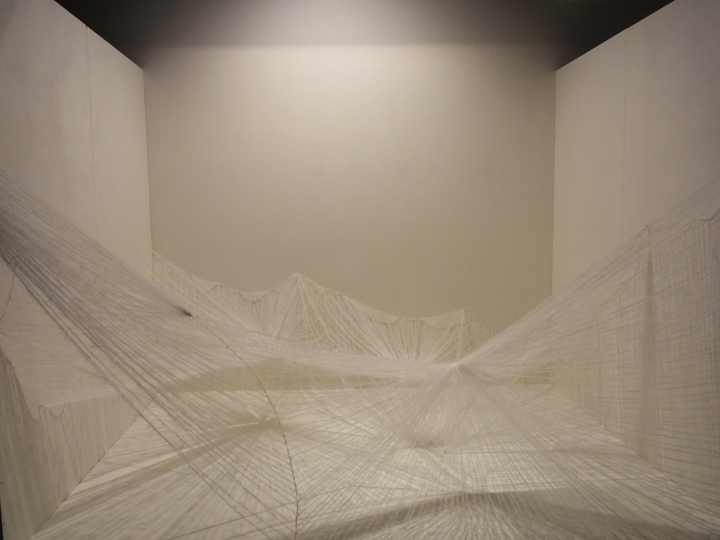 I managed to get into a meditative state of mind after a while and started to forget about rules and other things, and then web just flowed in front of me.